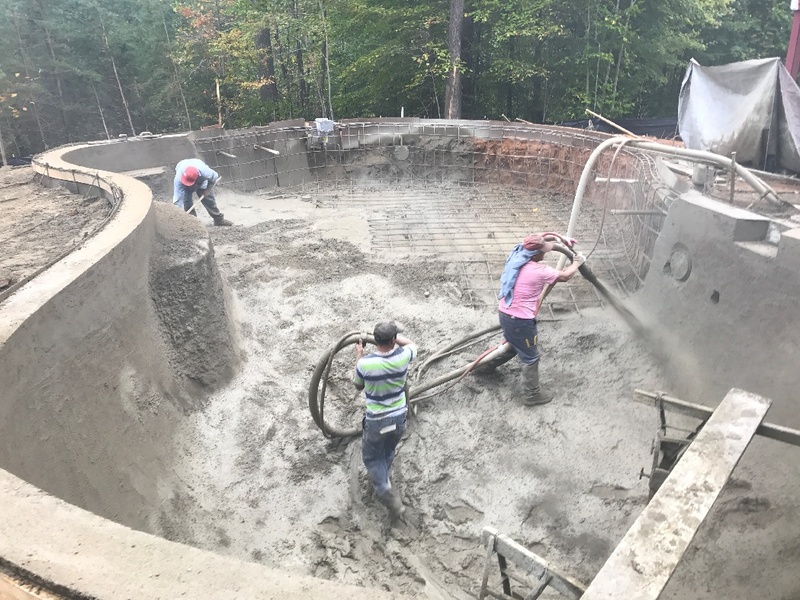 Pool excavation is a laborious but important process. It must be done the right way in order to end up with a beautiful pool constructed in a house. To ensure this job is done immaculately, you must ask the right questions to your pool professional, so that they can guide you completely and provide you with a great service. What Options are Available When You Hit Water or Rock While Excavating? Many people often forget to ask their pool constructor about the options available in the case that they hit water or rock while digging. This is important because it helps you become aware of all the worst scenarios and possible solutions. When you don’t ask this question, the pool contractor might opt for the inexpensive and consequently ineffective solution when water or rock is hit during the excavation process. If the contractor and their workers hit rock while digging, they could do several things to clean up the situation smoothly. First, they could move the swimming pool to another area with less rock. This is an assumption and they would have to dig the area completely, or dig a few test holes first and hope that they don’t meet any rocks. Second, they could elevate the entire pool while keeping it in its original position. This would increase the expenses, but it is a better option than the first. 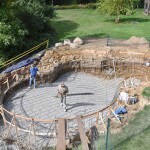 Third, they could blast the entire rock and work on installing the swimming pool in its original spot. This is not a costly method. If the contractor hits groundwater, they could install a dewatering system in that spot. This option is suitable for fiberglass pools. Another option is to again raise the level of the pool. Knowing the various options gives you the chance to offer input when something like this happens and keeps you in charge of what option is chosen for the installation of the swimming pool. What Damages Will the Yard Incur? 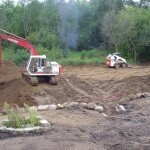 The second question you must ask the contractor is how much damage your yard will experience during the excavation. The contractor might tell you that your backyard will remain intact throughout the process, but this would be nothing but dishonest. Your backyard will incur some damages, as large trucks will enter your house to stuff the excavated area with the swimming pool. Therefore, you should be prepared to see some damages to any plants or fences in the way. Is It Affordable to Dig the Hole Myself? 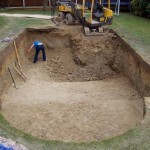 Many people think that digging the pool hole themselves is a more affordable option than hiring a pool professional to do the same. In order to dig the hole yourself, you would need a machine; this would not be cost-effective at all. There is also the added risk of doing something wrong and creating a big mess in your backyard. This is why it is best to hire a contractor for the job. Nonetheless, consult prospective contractors regarding this option and the professional ones will give you an honest answer. 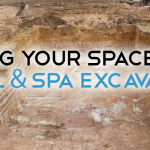 Asking these questions will help you become fully prepared regarding the pool excavation process.